The award-winning Ultra Smooth™ Collection expands its offering with the Ultra Smooth™ Coconut Comb Collection. 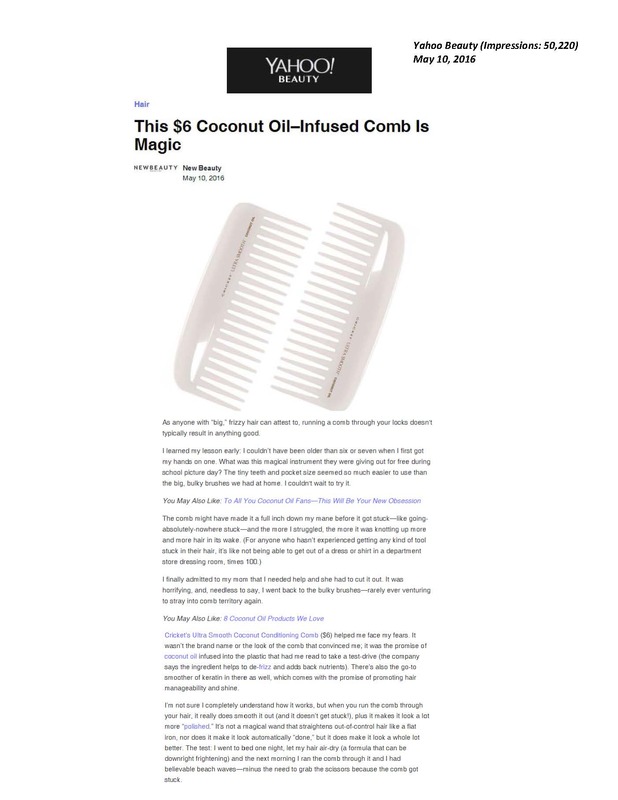 Each comb has been infused with hydrating Coconut Oil and Keratin Protein to help promote healthier looking hair with improved manageability and shine. Click the button below to add the Ultra Smooth Coconut Conditioning Comb to your wish list.